Open Shortest Path First (OSPF) Cheatsheet for Free !!! - CCNA Academy-a Free CCNA Tutorials. Study CCNA for free! 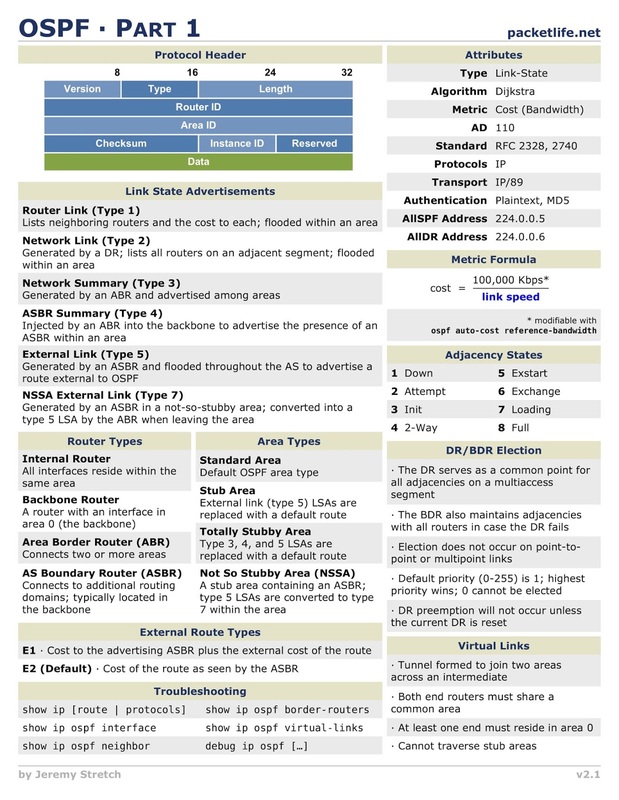 Home ospf ospf cheatsheet Open Shortest Path First (OSPF) Cheatsheet for Free !!! 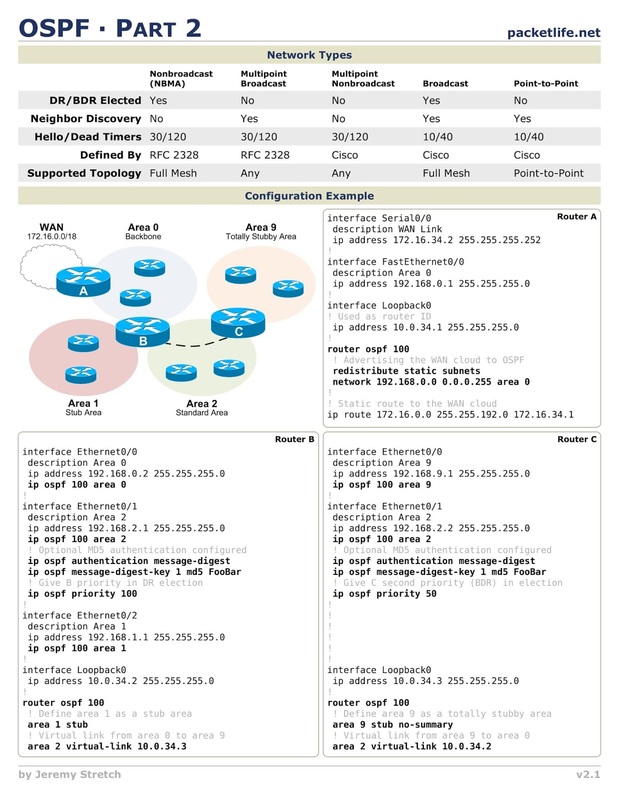 Open Shortest Path First (OSPF) Cheatsheet for Free !!! Open Shortest Path First (OSPF) is a routing protocol for Internet Protocol (IP) networks. It uses a link state routing (LSR) algorithm and falls into the group of interior gateway protocols (IGPs), operating within a single autonomous system (AS). It is defined asOSPF Version 2 in RFC 2328 (1998) for IPv4.